← Gwennie Inspired Medallion QAL Finale! Last Saturday, I picked up 5 tops to get quilted for the Stitching Sisters group. My goal is to get them done by Friday. One of the members of the group meets me to exchange tops and quilted quilts. I will be meeting her Friday night so she can take them to the meeting Saturday morning. Here is the first one I finished. 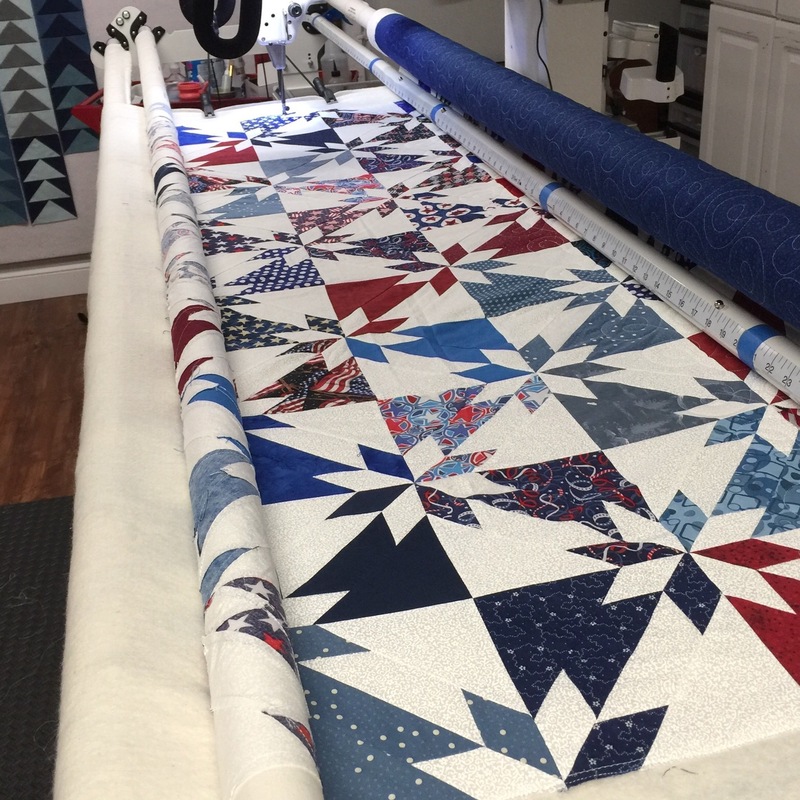 I knew the quilting wouldn’t show much against these fabrics, so I chose a simple pantograph called Cool Beans from Urban Elementz. The next one is in the frame and nearly done. Time to get back to work! Have a great day! 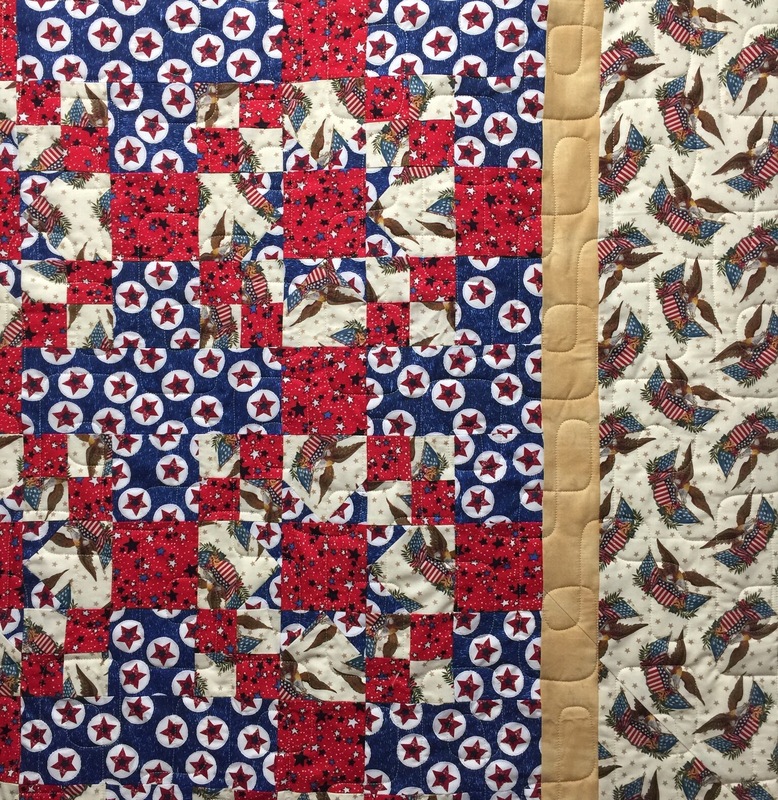 This entry was posted in Quilt of Valor, Uncategorized. Bookmark the permalink. 8 Responses to QOV Week! wow!! Look at you go!!! Beautiful quilting for beautiful quilts! We have certainly appreciated all you’ve done for Quilts of Valor, and look forward to your return after your big adventure in the Southwest. I love the one on the frame! I have full confidence you can meet your 5 quilted by Friday goal! her husband in Utah. Safe travels for both of us! 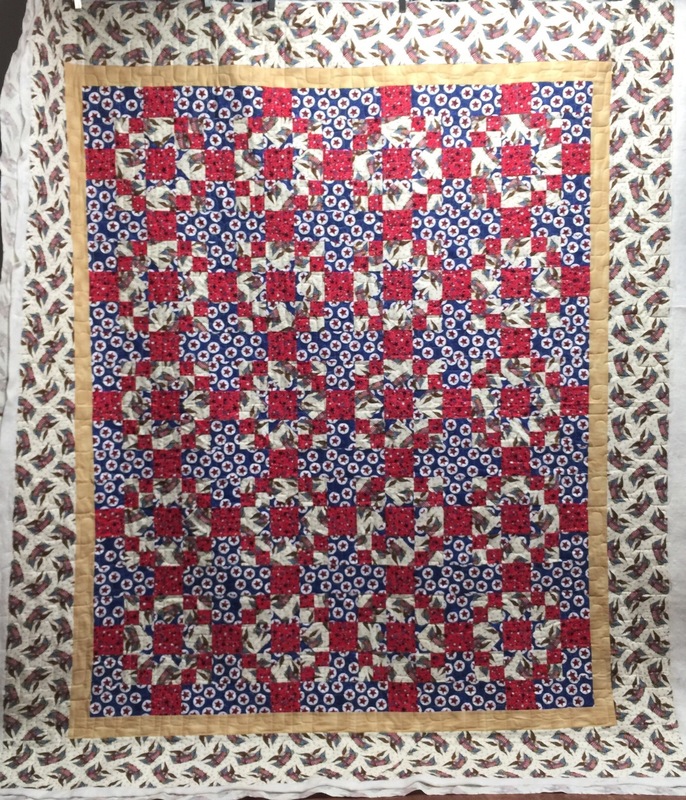 I agree – the stitching doesn’t show on that first quilt, but I’ll bet the texture is marvelous when looking at it with sideways slanted light!